The Whirlpool W10712394 Adjuster Kit is a genuine OEM brand, that includes everything you need to fix parts of a broken dishwasher, and is for the right and left sides. The new reinforced metal design ensures a quality product that will last you a long time. For added convenience this kit comes included with an instruction manual, to help you install any part of your dishwasher that needs replacement. 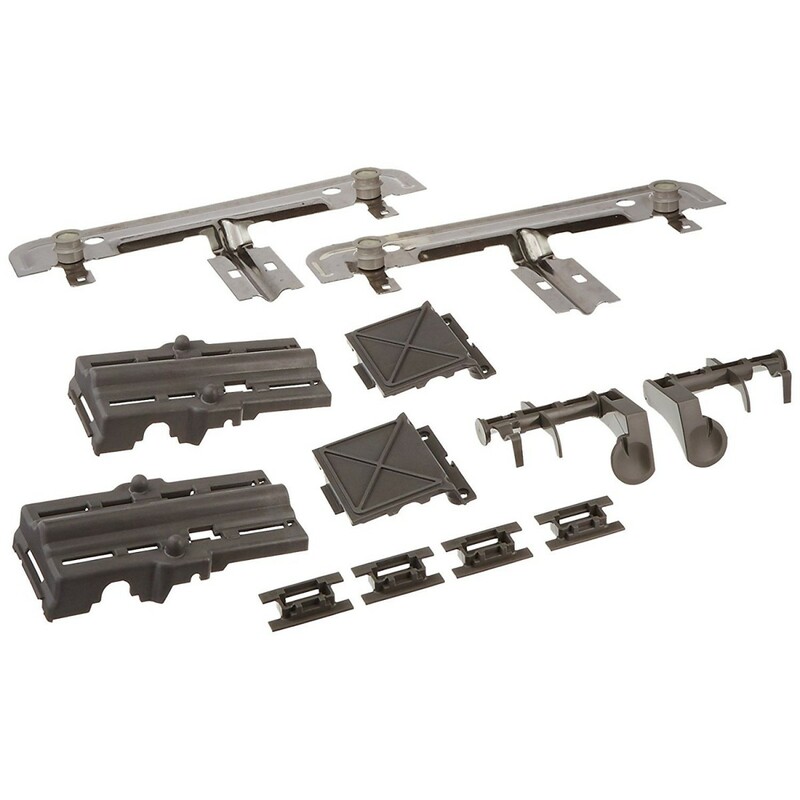 This kit comes included with two adjuster actuators, two gray adjuster housings, two adjuster arms, two gray adjuster covers, and four screws. The Whirlpool W10712394 Adjuster Kit can be used in a variety of brands including Jenn-Air, Amana, Maytag, KitchenAid, and Magic Chef just to name a few. This product was made in the U.S.A. order today!